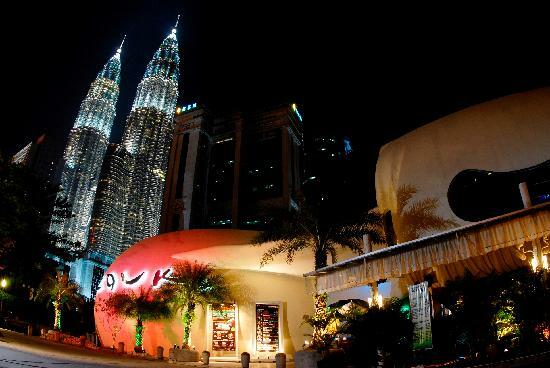 Kuala Lumpur, Malaysia’s capital and its largest city, is known for its buzzing nightlife. Bars, dance clubs, live-music venues, cocktail lounges and karaoke bars abound in KL and offer both local and visitors, a chance to kick back and let their hair down at the end of a busy work day. Additionally, if you enjoy clubbing, then you are in for a treat in KL for the city is littered with great nightclubs that cater to all tastes and preferences. The KL outpost of the legendary Singapore nightclub has reigned supreme for years on KL’s nightlife scene. The club offers multiple exhilarating experiences within its various sections like Zouk the main club, Velvet Underground(lounge for a more mature audience), Phture(a space dedicated to R&B music), Aristo and Roof Bar garden(a sleek cocktail lounge), Barsonic (a space for private parties and events) and Terrace Bar(a cafe and outdoor patio serving food for hungry clubbers). Zouk caters to various music preferences and the club offers diverse music genres like Trance, Hip Hop, House, RNB and EDM (Electronic Dance Music). The Butter Factory KL which is situated in the heart of KL within the famed Golden Triangle district is yet another KL outpost of a Singapore club. The club which occupies a two-storey 10,000 sq. foot space is equipped with state of the art audio-visual effects and lighting and offers a great option for a fun night out in KL. Music at the Butter Factory features popular dance music and EDM. Currently regarded one of the ‘hottest’ clubs in the city, Stage which is located on Avenue K on Jalan Ampang near the landmark KL attraction of KLCC is a housed in a futuristic two-level space. The club offers both DJ-spun music as well as live music as it periodically hosts top-notch music acts from around Asia. If you enjoy dancing to popular top forty tunes, then the Beach Club Café which features a sun, sand, and surf theme in the heart of the city will suitably meet your needs. Located on the roof top of the Lot 10 shopping mall in the heart of KL’s Bukit Bintang strip, the Rootz dance club is a night-spot whose décor seems to have been influenced by the Tsar’s of Russia and their opulent Russian palaces. Sumptuously outfitted with rich furnishings, the club offers various themed nights and routinely hosts well-known international DJs to spin RNB, Hip Hop and House tunes. The Mid-Valley Megamall complex is a popular shopping destination in KL.The Vertigo Club, located atop the complex’s the Gardens mall, is a recent entrant on KL’s nightclub scene. Offering two distinct experiences, the club hosts two entertainment spaces, Nero which features an LED dance floor and DJs who play R&B and hip hop music for youthful clientele and Bianco, a more refined space that caters to a more mature crowd.